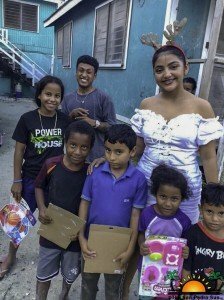 Hundreds of children received a Christmas present courtesy of Nayobie’s Hope for Children Project on Boxing Day, Wednesday, December 26th. The annual project spearheaded by 15-year-old Nayobie Rivero aims to provide children of modest means with a gift and the joyful spirit of the Christmas Season. 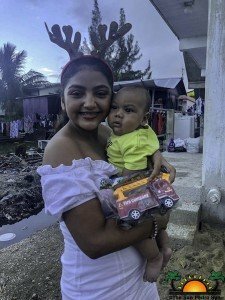 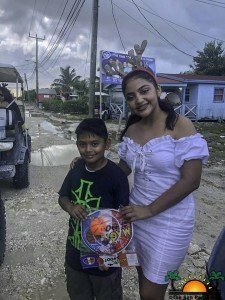 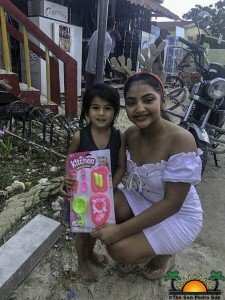 The funds to purchase the gifts were raised at a fashion show held on Saturday, December 22nd at the Sandy Toes Bar and Grill. 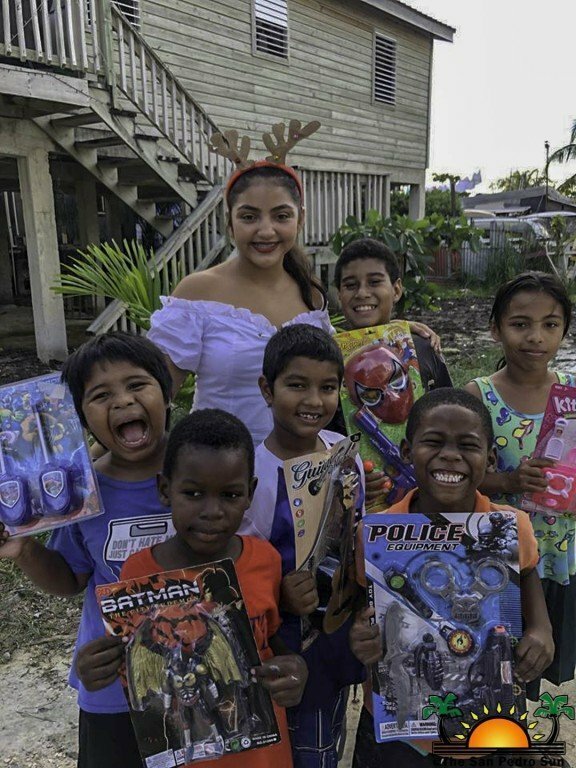 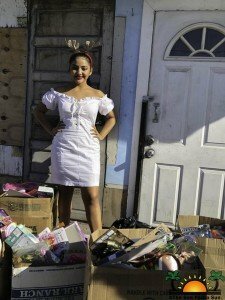 Rivero along with her family and friends delivered the presents just in time for Boxing Day, a time when children get to open their presents. They visited many areas of San Pedro Town bringing happiness to the many children with bright smiles when they received their goodies. 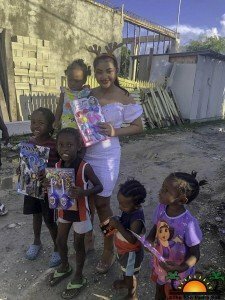 Arrangements were also made to distribute presents to an orphanage on the mainland later in the month. 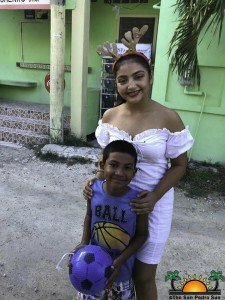 Nayobie and her team are happy to have accomplished their goal once again and provide the unprivileged with a Christmas treat. Rivero’s team thanks everyone who continues to support the annual event and looks forward to a bigger and better one next year. 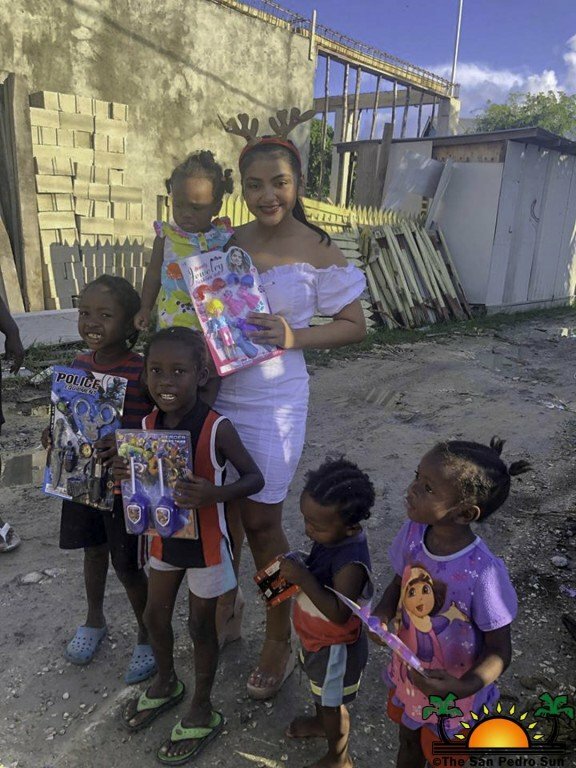 Nayobie’s Hope for Children Project is a non-governmental organization created four years ago. The main activities of the project are to conduct fundraisers to help the children of modest means on Ambergris Caye.